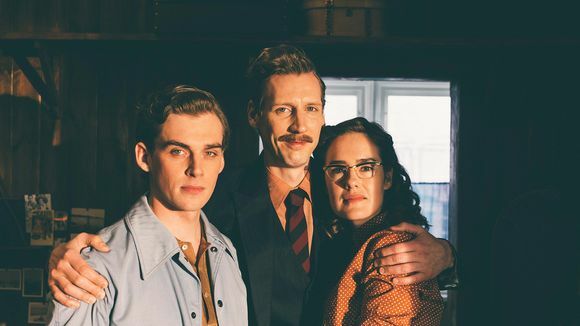 The biopic about Finland's most famous gay artist, Tom of Finland, has not done as well as the producers and director of the film had hoped. The film, which debuted Finland in February, has sold about 100,000 tickets so far. The filmmakers say that while the figures are disappointing, they're still hoping for better results once the movie premieres in the UK next week. Annika Sucksdorff, the CEO of Finnish movie production company Helsinki Film which produced Tom of Finland, says that she was concerned that the biopic about Finland's most famous gay artist, Tom of Finland (actual name Touko Laaksonen), could be too racy for Finnish moviegoers. "I was afraid that Finnish audiences might be too conservative [for the film's subject], and it appears that they may be," Sucksdorff says. Tom of Finland had a budget of about five million euros, part of which came from independent investors. Sucksdorff says that the production company wasn't expecting huge results from box office sales, but said it's important to pay back the film's investors. She says if the film had better domestic ticket sales that problem would have been solved by now, but says those funds will have to be made piecemeal as the film gets distributed around the world. So far, the film premiered in the countries of Finland, Sweden, Spain, Portugal and France. The film has also been shown at a handful of film festivals around the world. A review of the film in movie industry publication Variety called the film "handsome, smoothly executed and eager to entertain." Sucksdorff says there were some 16,000 ticket sales during its first two weeks of screenings in French cinemas, which she said was promising. Next week, on August 11, the film will debut in movie theatres across the UK, but Sucksdorff says it's still not certain how widely it will be released. Although the film is about homosexuality, the Variety review called the film "pure vanilla relative to the rocky road of Tom's own oeuvre." However, in the UK the film has an 18-years-and-up rating, which could hurt ticket sales because younger teens make up such a big part of movie theatre audiences. Tom of Finland was directed by Dome Karukoski - who was recently pegged as director of an upcoming biopic based on the early life of writer J.R.R. Tolkien. Sucksdorff says that the number of UK theatres that will show the film is still unknown and largely depends on the media hype it receives, saying that Karukoski is headed to Britain for a media junket to drum up support. Tom of Finland will likely be released in the United States in the autumn.